The World Health Organization states that there will be 22 million new cases of cancer in the next two decades, which is a staggering figure. The number of people dying on account of various cardiovascular diseases is equally appalling. Thus, there arises a need for advanced (3D/4D) visualization systems to aid in the diagnosis and effective treatment of various oncology, cardiology, and neurology procedures. Another key factor which is encouraging the use of advanced (3D/4D) visualization systems is the necessity to comply with legal requirements stated by the U.S. Food and Drug Administration (FDA) regarding the maintenance of picture archiving and communications system (PACS) records. This is creating a need to digitize patient data and is likely to augment the adoption of advanced (3D/4D) visualization systems. The adoption of advanced (3D/4D) visualization systems also help in saving cost as it enables improved patient diagnosis support. This is expected to create growth opportunities in the advanced (3D/4D) visualization systems market in the period from 2017 to 2025. While many end users may hesitate to invest in new installations of these systems on account of the high cost of equipment, the growing number of chronic diseases will ensure growth opportunities in the market. The potential of advanced (3D/4D) visualization systems market will also improve worldwide on account of medical tourism. The players in the global advanced (3D/4D) visualization systems market are expected to benefit from the development of novel software and services. However, the advent of 5D imaging technology will slow down the growth of this market. Advanced visualization techniques are used for effective communication with the help of easy-to-use tools such as diagrams, animations, and images. Visualization techniques are widely used for mapping, computer graphics, and meteorological data among the others. Nowadays, in case of product visualization, 3D models are preferred as it enables the manufacturer to view a product before the actually manufacturing process takes place. This enables to overview functions including styling, design, marketing, and sales among the other related aspects for product lifecycle management. As compared to standard procedures, advanced visualization systems reduce complexity; provide better using frameworks and models for building visualizations. With advancements in clinical applications and imaging modalities, market for advanced visualization systems is benefited by developments in field of computer software and hardware, with AV technology (3D), and PACS module integration. Concurrently, the global market for advanced 3D or 4D visualization systems is projected for a healthy growth rate during the forecast period of 2017 to 2024. 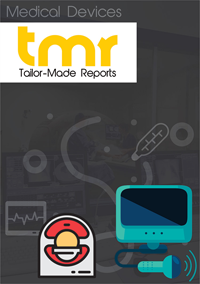 This report is a comprehensive analysis of the current scenario of the market for advanced visualization system, and presents figurative estimations of the near future. According to the report, the market can be segmented according to applications including systems visualization, educational visualization, scientific visualization, product visualization, knowledge visualization, and visual analytics among the others. Visualization techniques are used in sectors such as healthcare, aerial mapping, among others. The report also contains profiles of some of the key players currently operational in the market, analyzing their market share, product portfolio, and development strategies. Some of the key factors driving the demand in the global advanced visualization systems market are: continuously improving health care infrastructure across the globe, advancements in computer technology, growing demand for better imaging technology, and rising number of patients and geriatric population. Advanced visualization systems allow the amalgamation of imaging modalities with picture archiving and communication system (PACS) with dedicated workstations. Additionally, adoption of thin client server has surged due to the success of cloud computing technology. This factor has also led to increased installations of image processing software and applications at the client site. North America currently serves the maximum demand for advanced visualization systems, owing to factors such as robust healthcare infrastructure, developed economy, growing awareness among the patients, and high adoptability of advanced technology. European market is also expected to experience a surge during the forecast period, mainly due to increasing healthcare expenditure. Additionally, the market of the emerging economies in Asia Pacific, such as India, China, and Malaysia will expand at a steady rate, gaining from factors such as large number of under-served patient population and growing emphasis on research and development programs related to healthcare infrastructure. Conversely, heavy investments required for installation and maintenance of these systems is a prominent restraining factor over the market. Some of the key companies in the global advanced visualization systems market are Carestream Health, Inc., Fujifilm Holding America Corporation, CONMED Corporation, GE Healthcare, Philips Healthcare, Intelerad Medical Systems Inc., QI Imaging, LLC, Toshiba Medical Systems Corporation, Siemens Healthcare, Terarecon, Inc., Visage Imaging, and Visualization Sciences Group.